Do you cringe at the thought of root canal therapy? Many people associate this effective general dental treatment with pain, but in truth it is the best way to save an infected tooth and put a stop to severe dental pain. At Ora Dentistry, we offer gentle root canals that can remove infection and restore an unhealthy tooth, saving it from extraction. Root canal therapy is used when the interior of a tooth becomes infected or damaged, putting the nerve root at risk. This can occur when decay is allowed to progress into the pulp or softer interior of the tooth. It can also be due to trauma or other tooth damage. Once infection or an abscess occurs, it can press on the nerve and cause pain. If not treated, the tooth can die and would need to be extracted or eventually fall out on its own. Root canal therapy is often the only option to stop the pain while keeping your tooth. Root canals are not painful. They are actually similar in discomfort to removing a cavity, yet they can relieve intense pain caused by an infected tooth. 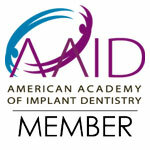 The process removes the infected, decayed or damaged pulp inside the tooth. Once the tooth is sterilized, it is sealed with material to keep the interior free of infection. Since a significant portion of the tooth is often removed, a dental crown is usually placed over the tooth to protect it from damage. The tooth will heal and the source of the pain will be gone, with the benefit of saving your natural tooth. At Ora Dentistry, we understand that many people have the misconception that root canals are painful. We can assure you that we will make you very comfortable during the procedure in our comfy treatment room with amenities to keep you entertained while we perform your therapy. If you need extra help relaxing, we have sedation options available. Contact us today if you have an infected tooth. We can help stop the pain.